Houston (13 November 2017) – The International Association of Drilling Contractors (IADC) presented its Contractor of the Year Award to Dr. Tom Burke, President and CEO of Rowan Companies, during last week’s IADC Annual General Meeting in Austin, Texas. 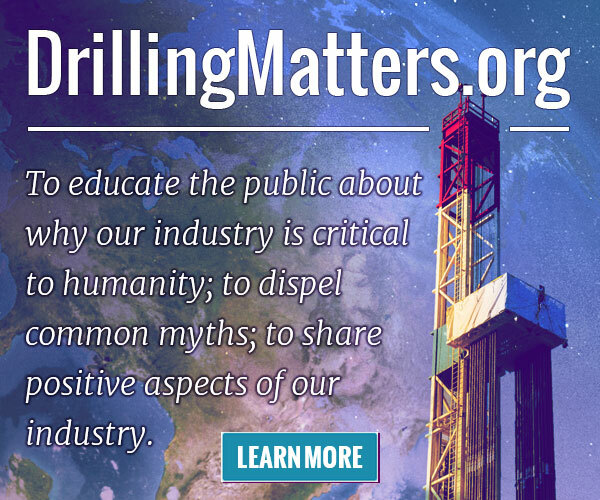 The award is presented annually to recognize an individual drilling contractor’s outstanding lifetime achievements in technical innovation, safety and economic efficiency within the drilling industry. Sponsored by National Oilwell Varco, the award is the only one in the industry reserved solely for drilling contractors. In addition, IADC also presented industry veterans Dan Scott, Jorge Lebrija, and Andy Poosuthasee with Exemplary Service Awards. The award is in recognition of their outstanding contributions to the industry and to IADC. Recipients of the Exemplary Service Award have, through the course of their career, demonstrated their commitment to improving the drilling industry and advancing its safety, training or technology. Dan Scott retired from Baker Hughes, a GE Company as Senior Technical Advisor. He holds 140 U.S. patents and is recognized as one of the most prolific inventors in the history of Baker Hughes. Jorge Lebrija is Director of Supply Chain, Global Sourcing for Ensco, and is currently co-chair of the IADC Supply Chain Committee. Andy Poosuthasee is the Director of Supply Chain for Vantage Drilling and is currently co-chair of the IADC Supply Chain Committee.